Have you been considering homeschooling? Are you wondering where to begin? Are you desperately looking for guidance? The easiest thing to do is find other homeschoolers to talk with. Every family is different, and all homeschoolers have their own reasons for and thoughts about homeschooling. The more people you talk with, the more ideas you can get. There are also many homeschool support groups around and websites and blogs offering help and advice. Check your library, too! 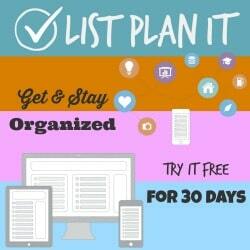 They oftentimes keep lists of local homeschool support groups. 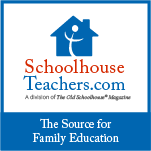 Look here for homeschool support groups in your state. "What circumstances have led me to consider homeshooling?" Making the commitment to homeschool is serious business. You want to be sure you are thinking about homeschooling for the right reasons. Control issues? Think it's easier? Pressured by someone else, but not something you want to do? You might be considering homeschooling for the wrong reasons. Separation anxiety? Special needs? School issues? Homeschooling may be a good option. "Am I willing to sacrifice what little personal time I have?" Homeschoolers are typically with their children ALL THE TIME, and while most of us cherish (almost) every moment, it's not for everyone. Depending on your homeschooling method, homeschooling can consume your day with projects and activities, park days and field trips, lesson planning and paper grading, and lots of unplanned, unforeseen excursions. Homeschooling means making personal sacrifices every day. "Will we be able to adjust financially?" For many families, homeschooling means living on one income or one parent working full time while the other works part-time. Homeschooling for many means cutting back on frivolous spending, dinners out, and extended vacations. On the bright side, homeschooling usually means saving on childcare and clothing expenses. "Does my family support the idea of homeschooling?" It is especially important that both parents want to make this commitment. There will be times when you will need each other's support, help, and guidance. Hopefully it something your child is wanting to do, too. On the other hand, if friends or other family members are against homeschooling, don't let them keep you from doing what you believe is in the best interest of your child. Generally, folks against homeschooling have good intentions, they just don't know enough about it. Once your family has made the decision to homeschool, don't think you can never go back. Take things a year at a time. And although it can (and probably will) seem overwhelming at first, things will begin to come together. Homeschooling is a huge responsibility that requires a lot of self-discipline, a lot of planning, and a lot of time, but there are many resources available to help you along as you set out on this remarkable journey. You CAN homeschool!